75 days. Solanum lycopersicum. Open Pollinated. 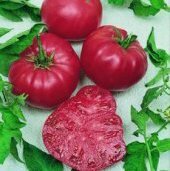 Plant produces high yields of 1 to 2 lb pink beefsteak tomatoes. 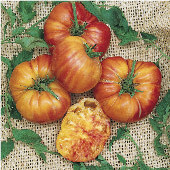 They are very sweet, meaty, juicy, and flavorful. It has the rich old-fashioned tomato flavor. Perfect for salads, slicing, and sandwiches. 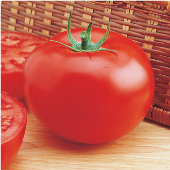 Plant can produce up to 50 lbs of tomatoes. Excellent choice for home gardens. 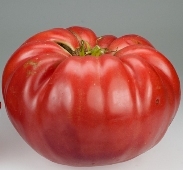 A heirloom variety from West Virginia dating back to the 1800s. Indeterminate. Certified Organic.